Unfortunately when I visit family, I often forget to take pictures because I get so wrapped up in making meals and spending time with everyone. We are hoping to make this one again because of how much meat you can get off of just one chicken! The lemon and garlic were a great combination with the fresh spices. 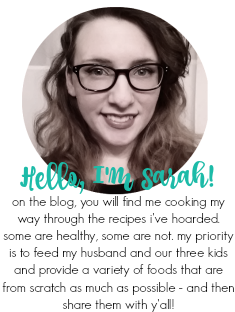 If you all read my resolutions, you'll know that I wanted to take the time out to talk about each blog that I'm sharing recipes from. I feel like it's incredibly fitting to have Jen from Beantown Baker as my first lil schpeel. Preheat your oven to 425* and place veggies in the bottom of a large roasting pan. Prepare your chicken by removing the giblets and rinsing it. Pat dry and place in roasting pan. Salt and pepper chicken (inside and out). Stuff with herbs, 1 lemon (cut up), and 2 halves of garlic. Brush the outside with melted butter and sprinkle with more salt and pepper. Tie the legs together with kitchen twine. Cut 2 lemons in quarters and place around chicken with the rest of your garlic halves. Cook for 1 1/2 hours until chicken is cooked all the way through. Slice and garnish with additional lemon, sliced, veggies, and garlic. This looks awesome. 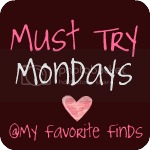 Thank you so much for linking to Must Try Monday, and for putting the button on the end of your post! This looks like something my family would enjoy...but I wouldn't tell my kids it was called "Lemon Garlic Roasted Chicken"...or they wouldn't eat it :).